The 2017 Women in Construction Awards finalists include SAFCEC Council member, Dr Thandi Ndlovu in the category Women in Concrete: Lifetime Achievement Award. The Women in Construction Awards aims to celebrate the achievements of women within Africa's construction, cement and concrete sectors, in addition to recognising organisations that support and contribute to their development in the industry. The winners will be announced at a gala dinner on 24 May at the Gallagher Convention Centre in Johannesburg. SAFCEC Council member, Dr Thandi Ndlovu - Motheo Construction Group CEO, has been nominated as one of six finalists in the category Woman in Concrete: Lifetime Achievement Award. This award acknowledges outstanding efforts and enduring contribution to the concrete sector. This is not the first time that Dr Ndlovu has been recognised for her outstanding contributions. 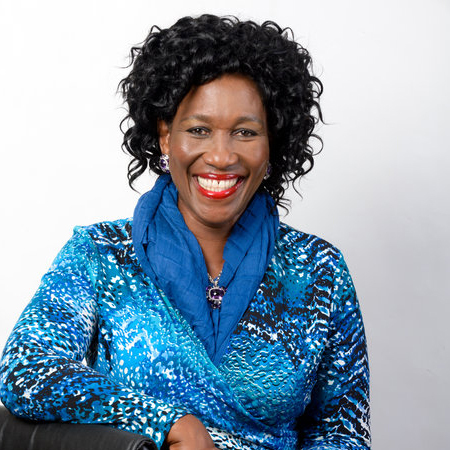 In 2013, she was awarded the Business Woman of the Year Award in the Entrepreneurs Category by the Business Women's Association of South Africa, and in 2014 received certificate of recognition for both 10 years of long service to South African Women in Construction (SAWIC) Gauteng, as well as for her selfless service as the President of SAWIC between 2002 and 2012. This was followed by the the Most Progressive SAWIC Gauteng Contractor in the same year. 2016 saw Motheo Construction walk away with more than a few awards at the Govan Mbeki Awards hosted by the Department of Human Settlements. The main purpose of the Govan Mbeki Awards is to encourage and re-enforce a culture of excellence within the housing sector in the delivery of integrated human settlements. Motheo Construction's awards included Govan Mbeki Awards KZN: Best Women Contractor; Govan Mbeki Awards KZN: Kwabejane - Best Rural Project - built by Motheo; Govan Mbeki Awards Northwest: Best CRU Project; Govan Mbeki Awards Northwest: Best Women Contractor; Govan Mbeki Awards KZN : Glebelands CRU - Best Community Units Awards - built by Motheo; and Govan Mbeki Awards KZN: Kingsburgh West and Welbedacht Projects - First and Second Informal Settlements - both built by Motheo. In October 2016, Dr Ndlovu was elected to the SAFCEC Council, an appointment that she feels bears testimony to both the transformational role that Motheo Construction Group continues to play within the industry, and the esteem in which it is held by its major players. SAFCEC wishes Dr Ndlovu every success in her nomination and are certain that she will continue to lead by example, shatter stereotypes and break down barriers.